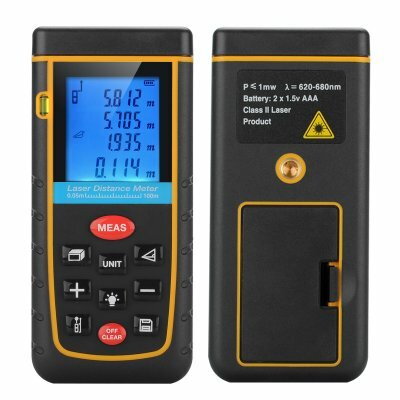 Successfully Added Digital Laser Tape Measure - 0.05 To 100 Meter Range, Spirit Level, IP54, 1/4 Inch Tripod Thread, Carry Case to your Shopping Cart. This product is in stock now, we guarantee next working day shipping and offer a 12 months warranty on all our products. Brought to you by the leader in electronic devices and electronic devices and wholesale cool gadgets, Chinavasion.